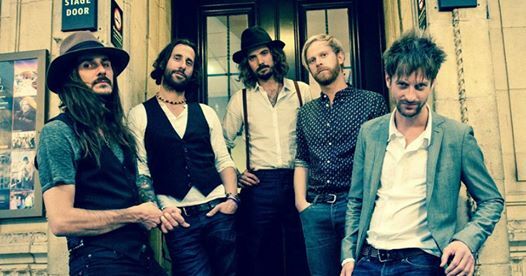 The Temperance Movement aren’t a band I’ve followed assiduously over the last few years. Never seen them live, scarcely read an interview with them. Don’t ask me why - I’ve had their first two albums all along, enjoyed both of them, but somehow we’ve just kept missing each other. Well no more. You probably didn’t read it here first, but A Deeper Cut confirms that if there really is a New Wave Of Classic Rock rolling and tumbling, The Temperance Movement riding the crest of it. And I’m going to be paying them more heed from now on. aren’t mindless acolytes. If anything the biggest similarity they have with the Crowes is their adventurousness. The brisk opener ‘Caught In The Middle’ may do a fine job of capturing the attention, with its bright, stabbing guitar chords and Phil Campbell at his bawling best a la Rod the Mod and Frankie Miller, ‘Backwater Zoo’ may emerge from a relaxed intro into a good time boogie with a cantering rhythm and rattling piano, and ‘Love And Devotion’ may be full on raucous rockin’, but there’s more to A Deeper Cut than telling Beethoven to roll over. Those rockers are all examples of top quality writing and arrangements, but The Temperance Movement can get both spikier and more ruminative to equally good effect. Both tendencies can evoke an indie tendency, whether it’s the soft and spectral title track, which swells into chiming guitars with a slightly discordant air that brings to mind Snow Patrol, say – except heaps better, to be honest – or the semi-reggae bleeping and buzzing of ‘Beast Nation’, which gives way to luscious harmonies on the chorus. In fact bleeping and buzzing guitar tones from Paul Sayer and Matt White often bring a modern edge to the sound, not least on the conclusion to the jagged versed-smooth chorused ‘Built-In Forgetter’. But the slower stuff shows off even more variety and subtlety. ‘Another Spiral’ is downbeat and reflective in such a way that the vocal could almost be Phil Collins on something from Wind and Wuthering. Well no, it couldn’t really, but that maybe conveys a sense of the capacity for sweetness and gentleness that Campbell displays. But then later they top that with the soul-baring ballad ‘Children’, led by piano and voice with tickling slide in the wings, with Campbell getting into Joe Cocker mode as he sings searingly that “I never thought I’d be so cruel / Breaking your heart for telling me the truth”. Did I mention that their lyrics are routinely, ear-grabbingly original? I could go on likening The Temperance Movement to precursors, melding American influences and British sensibilities in a virtuous circle. But ultimately they’re themselves, being what they are, and making that worth being, as someone once said. You want to know more about A Deeper Cut? Well, go get it then. Immerse yourself in its different shades and temperatures. Drink deeply. Enjoy. If Take That had envisioned themselves as a blues rock band, this is what they might have sounded like. Okay, take a deep breath. I’m not saying this to slag Laurence Jones off. I might find the whole TT schtick as unappealing as any other blues/rock fan, but I’d still argue Gary Barlow and chums have shown a handy way with a pop melody down the years. 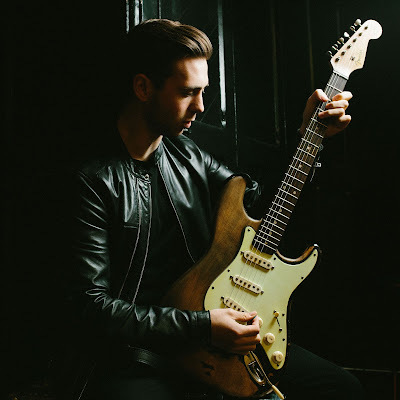 And I’d submit that what we have here, on Laurence Jones’ first outing with Gregory Elias as producer and label boss, is something that similarly majors on catchy choruses, sophisticated harmonies, and glossy production. Jones may have come up with some similar basic material in the past – ‘Don’t Look Back’ on What’s It Gonna Be, for example – but this is a whole different animal. 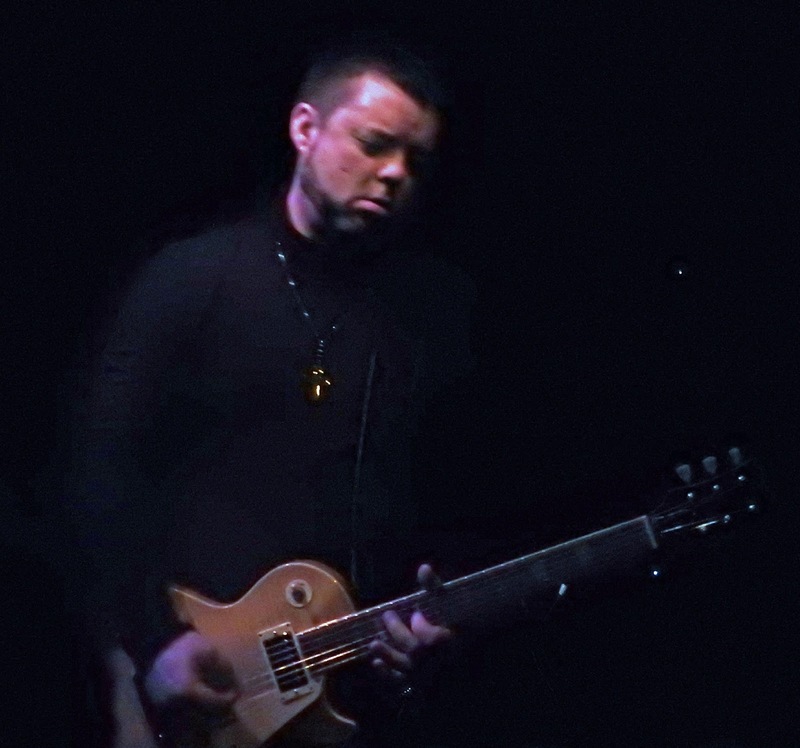 Vocal coaching for Jones has been a declared component in the development of The Truth, and his singing here is smoother and more controlled than on previous albums. Which fits with a vibe in which Bennett Holland’s keys are often as much to the fore as Jones’s guitar – in fact more so now and then. And you’ll wait a long time to hear drummer Phil Wilson give a cymbal a resounding crash across the ten songs here. ‘What Would You Do’ sets the tone with a tense guitar riff, an earworm of a chorus, lots of cleverly arranged backing vocals, and a restrained, tasteful guitar solo, all conveyed by means of a crystal clear sound. But several songs, such as ‘Hold Me Close’, the four-on-the-floor ‘Keep Me Up At Night’, and ‘Take Me’ rest more heavily on warm piano from Holland, and drum rhythms from Wilson so rock solid in their constancy that they could be programmed. Things are more up tempo and urgent on ‘Don’t You Let Me Go’, with its stop- start guitar and keyboard chords, and ‘Give Me Your Time’, in which Jones contributes a nice solo that sits unnecessarily low in the mix. ‘Gone Away’ is perhaps as gritty as it gets, built on wah-wah guitar and some edgier vocals from Jones in the verses, with a brief but sparky guitar solo and some lush organ to complement the very Take That chorus. Blues fans may well incline most towards the two tracks that go for an Aynsley Lister-ish vibe, namely the title cut and the closing ‘Never Good Enough’ with its ooh-oohing backing vocals and laid back, ticking guitar. With none of the ten tracks on the album reaching four minutes in length I reckon ‘The Truth’, a slowie with a bluesy guitar intro, should have been an opportunity for Jones to stretch out and bring some more guitar to the party. What Jones and his new mentor Elias have given us on The Truth is very well done, but it does feel a bit constricted in style. A couple of more spontaneous bursts of rough and tumble, in the manner of an earlier song like ‘Stop Moving The House’, would have provided some leavening variety. After four previous albums showing varying degrees of maturity, and god knows how many shows across Europe as a veritable road warrior, Laurence Jones is certainly entitled to try a new direction. 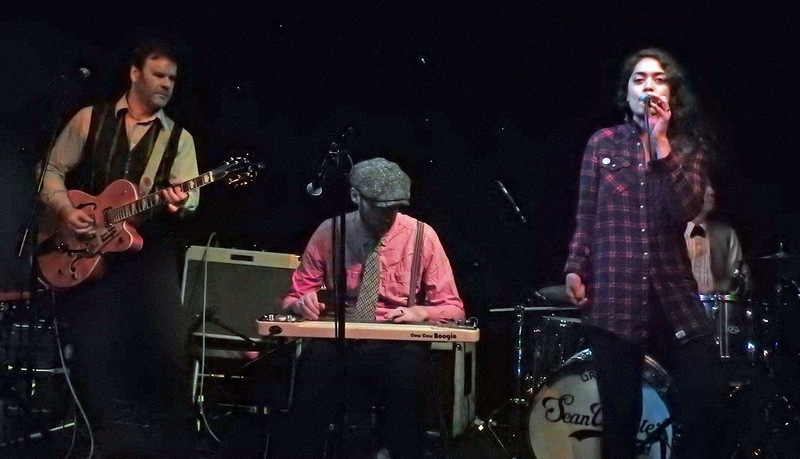 The blues-pop of The Truth does that stylishly, if within a very contained framework. It’ll be interesting to see how he makes this stuff work in a live setting. To be honest, I’d never heard of Sean Webster until just over a year ago. Not a dickie bird, until I was interviewing Ash Wilson and Webster’s name came up – and then coincidentally I caught the Sean Webster Band supporting King King in the Netherlands. Between then and now, his album Leave Your Heart At The Door has had regular airings in our house, so I was looking forward to this headline appearance at the Edinburgh Blues Club. Webster and his amigos don’t disappoint. Opening up with the tough and powerful ‘God Forsaken Town’ (the titles of some songs are, alas, guesswork on my part), they shift into the strutting ‘Can You Make A Move’ and quickly demonstrate how tight they are, with top quality use of dynamics, while Hilbrand Bos adds the first of a few impressive organ solos. But it’s on ‘Hands Of Time’ that they really get into their sweet spot, an example of Webster’s strong songwriting that’s also a good platform for his soulful voice. The following ‘Too Many False Alarms’ opens in slow and sparse fashion, and Webster decorates it with some lovely echoing guitar tones, before unfolding a solo that shows of the ability, when he’s at this best, to put you through an emotional wringer. Webster may be the heart of the performance, notwithstanding his unassuming chat between songs, but his well-honed band also bring plenty to the party. Since I saw him last he’s recruited a new rhythm section, with Floris Poesse contributing supple bass and Ruud Gielen whacking the skins mightily when the occasion demands it. The ensemble cook up successive storms on ‘The Thrill Is Gone’, and some muscular funk-inflected Rock on ‘Give Me Time’. Webster himself offers some expert storytelling on an evocative cover of Keith Urban’s ‘Til Summer Comes Around’, and after the rousing ‘Give Me The Truth’ he goes full tonto on the soul vocals front, with an impeccable reading of ‘I’d Rather Go Blind’, on which he delivers a solo that weaves around and about the vocal melody, elaborating and amplifying the emotion of the song in the run up to a compelling guitar and vocal ending. 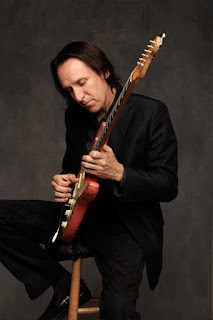 And by the way, Webster does all this with just the one guitar – none of that endless swapping and re-tuning that so consumes some guitar geeks. The rocking ‘I Got The Blues’ includes some extra fun in the form of a sotto voce guitar and keys passage, before they close with ‘Mr Highwayman’, on which Webster and Bos depart the stage for a while as Poesse and Gielen embark on a highly entertaining rhythm section blowout. I don’t know how many of this audience were familiar with Webster and co before tonight, but they roared for more, and got it in the shape of the slow and moody ‘Gravity’, with a very ‘Greeny’ intro, and finally the rousing, emphatic ‘You Gotta Know’. Sean Webster is a damn good songwriter, he’s got the vocal and guitar chops to do the songs justice, and a well grooved band to do it with him. 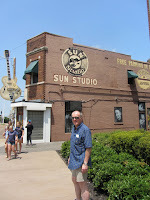 Other artists may get talked up big time, backed up by record labels and PR machinery, but to my mind the Sean Webster Band are among the unsung heroes of the current blues scene, and deserve more attention. Speaking of well-grooved bands, local support act Cow Cow Boogie were also a wow. “Is it rockabilly? Is it R’n'B?” I asked myself as they ripped through the likes of ‘Scorched’, ‘Somebody’s Always Talking’, and ‘Candyman’. “And the answer is, who cares? This was the first time I’d encountered their stew of styles, incorporating stand-up bass, and several tons of twang courtesy of both Stevie Slide on lap steel and Steve Milne on guitar, and it warmed up a cold February night no end. I’d seen singer Nicole Smits guesting with other people from time to time, but here she was on another level, hopping, bopping, and twirling about the stage in a way that suggested she’s truly at home on the Cow Cow Boogie range. More to the point, her vocals are Patsy Cline-outstanding on ‘San Antonio Rose’, and even better on the irony-laden ‘Do Me Wrong’, her phrasing expert as she delivers sliding and cracked notes to truly tell the tale. Special kudos too for managing to do something different with ‘John Henry’, in a convincingly jazzy arrangement involving just Smits plus Scott Mather’s double bass and George Logan’s drums. Hats off to Cow Cow Boogie for blending different genres into a coherent aesthetic with such conviction.